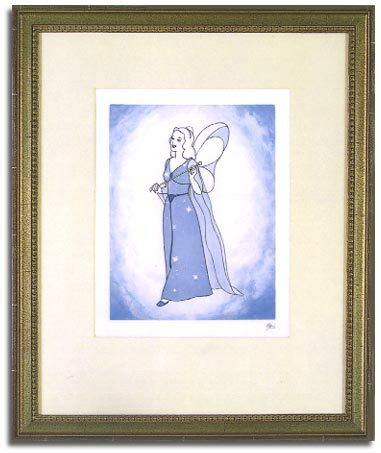 The classic 1940 Walt Disney feature film ‘Pinocchio’ featured one of the most sought after, and most rare characters in animation – The Blue Fairy. This fine art Limited Edition was created by Disney artists using actual drawings used in the making of the film. The subtle characteristics of the aquatint process – similar to lithography – beautifully capture the soft, transparent color and feeling of the character.